to be Up to 88.9% Effective for NECK and BACK PAIN! Non-Surgical Spinal Decompression is achieved by using a specific combination of force of pull, angle in degree of pull and varying time in order to create a negative pressure inside the discs of the spinal cord. This procedure slowly lengthens and decompresses the spine, creating negative pressures within the discs. This reversal of pressure creates a vacuum inside the discs that helps to draw in bulging discs and extruded disc material back into place, reposition bulging discs, taking pressure off pinched or irritated nerves. Spinal experts believe that nutrients, oxygen, and fluids are drawn into the disc to create a revitalized environment conducive to healing both herniated and degenerated discs Based on the patient’s body weight, tolerance, level of severity, and duration of symptoms your spinal decompression specialist will determine a specific treatment plan based on your individual needs. This will help to ensure the best most long lasting results. Physical Therapy and Chiropractic Manipulation? What are the success rates and what research has been done? More than 10 research articles have shown success rates for spinal decompression to be up to 88.9% which can last for years. 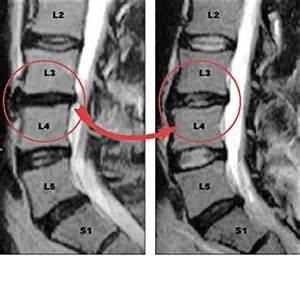 Some patients with more extensive discal injury may require intermittent supportive treatment to maintain lasting relief. Regular stretching exercise is recommended. Every patient is different and is treated accordingly. We provide courtesy consults to see if you condition qualifies. We recommend and require MRI’s and x-rays so that we can visually analyze the spine and disc(s). We perform focused orthopedic and neurologic tests to further evaluate your condition for success. that have had Spinal Surgery? In many cases Spinal Decompression treatment is not contra-indicated for patients that have had spinal surgery. In fact many patients have found success with Spinal Decompression even after a failed back surgery. After a failed Laminectomy or Micro Discectomy patients may still respond favorably to spinal decompression. If a patient has had more than 3 laminectomies then the success rate of spinal decompression will go down. If a patient has had surgical fusion with rods or screws or any type of hardware then patients may not qualify for spinal decompression. The following conditions might disqualify a patient for spinal decompression treatment.. Candidates that may not qualify for spinal decompression therapy include the following.